20 7/8" x 14 5/8"
Translation of the cuneiform:"[There sat the] queen of the Netherworld, Ereškigal." 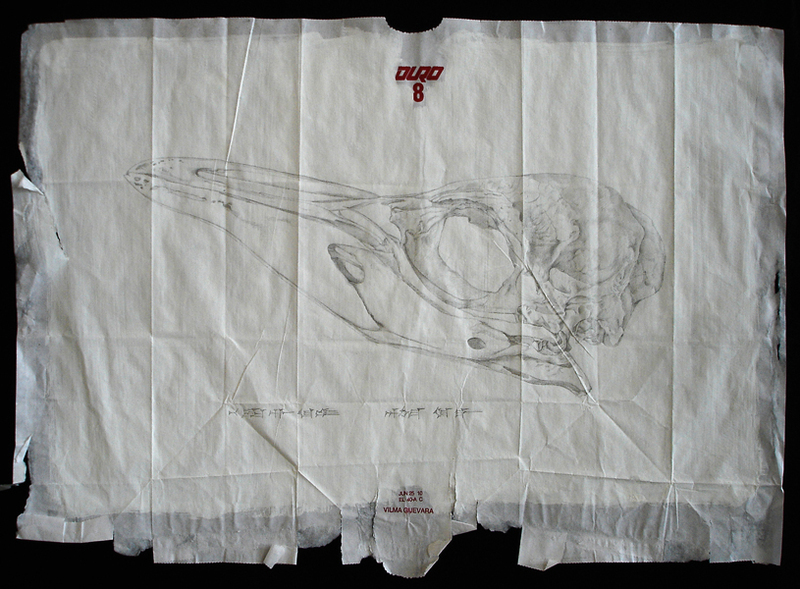 The image is of an Adelie penguin skull. Adelie penguins live in Antarctica, at the bottom of the earth, in darkness for six months of the year. Shortly after finishing this series I worked in Antarctica during the dark season for six months. Like Enkidu, I visited a different reality with little contact to the world above. Not until after I finished this drawing did I realize that beings in the ancient Babylonian underworld are described as having feathers like birds.